After the layout is finalized and equipment is ordered for every job, a contractors meeting is called to gather all the technicians who will participate in the installation process. 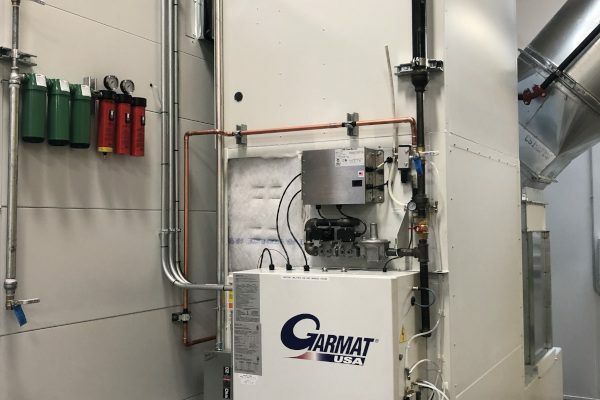 Concrete meets with electrical; plumbing meets with engineers; and Rely-On Technologies provides a job-specific set of trade notes that details everyone’s tasks in the project. This is also the meeting where the project gets dismantled at the site. 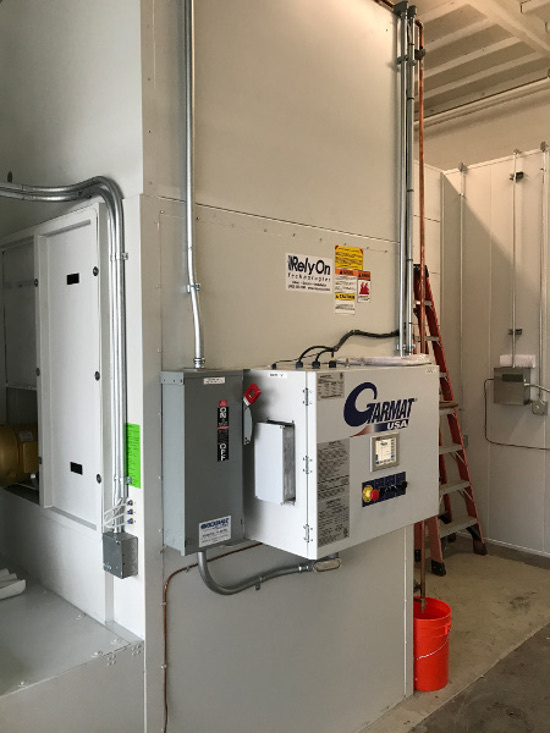 Existing equipment gets removed, roof mounted equipment gets discovered, power distribution in the building gets upgraded to a higher amperage. These are all things that Rely-On discovers from these meetings. 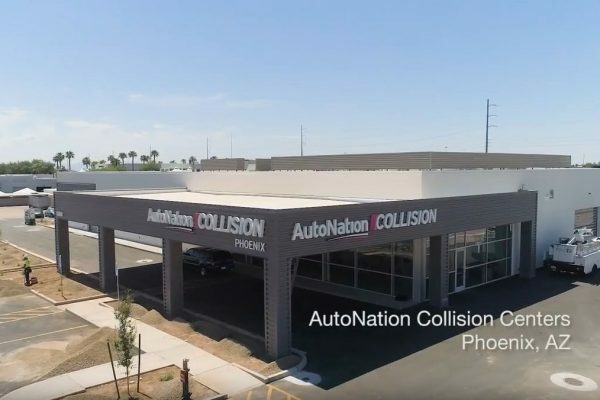 Penske Toyota of Downey, CA, was in the process of plan-check for their revamped collision center. 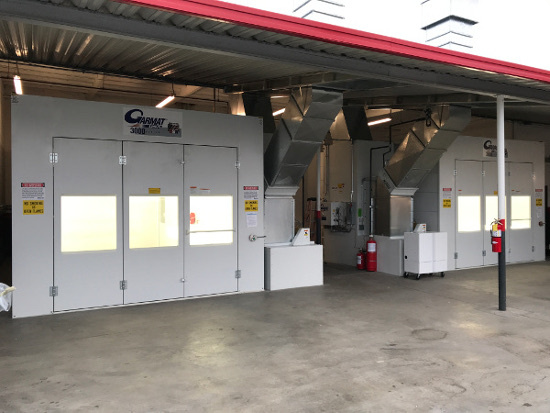 They purchased two brand new Garmat 3000 down draft paint booths, along with a paint mix room to connect them in the middle. 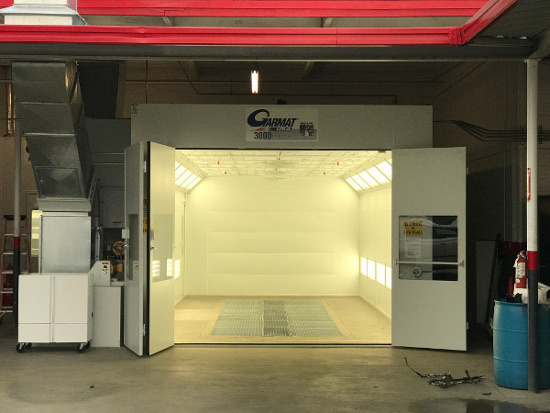 The original plan was to install the two new Garmat paint booths with permitting, and remove the existing two paint booths that were already installed to minimize shop down time. This plan had been submitted to the city showing the gas lines engineered to use the existing lines going to the old paint booths. As the project continued, production in the shop increased. 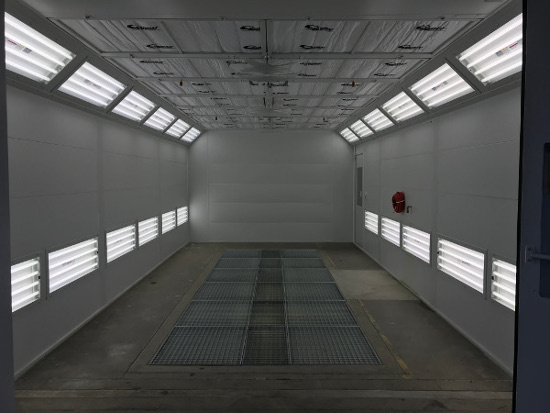 Rely-On determined that the two existing paint booths would be productive and they were and not dismantled. 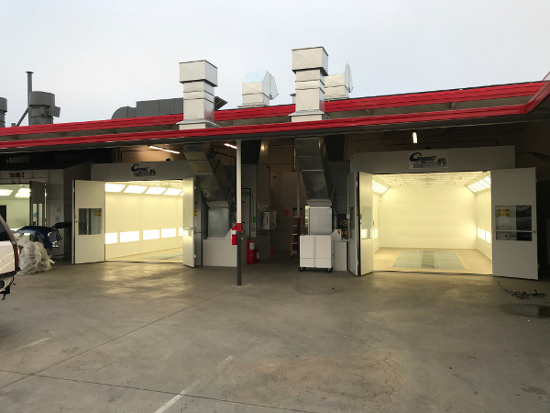 After a meeting with the owner, Rely-On came up with a game plan to keep the project on track, while adding two sets of gas lines to the engineered set of plans, and re-submitting them to the city of Downey. 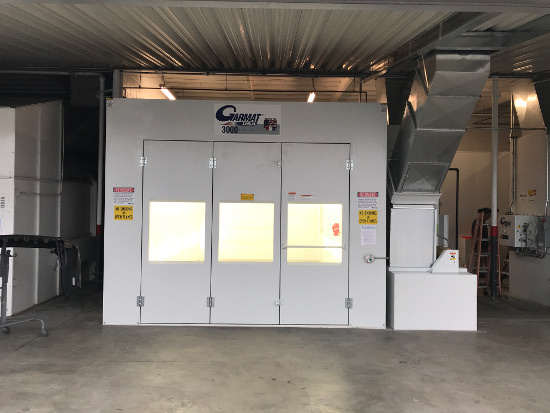 The challenges stemmed from the addition of the two existing paint booths to the gas load on the building. 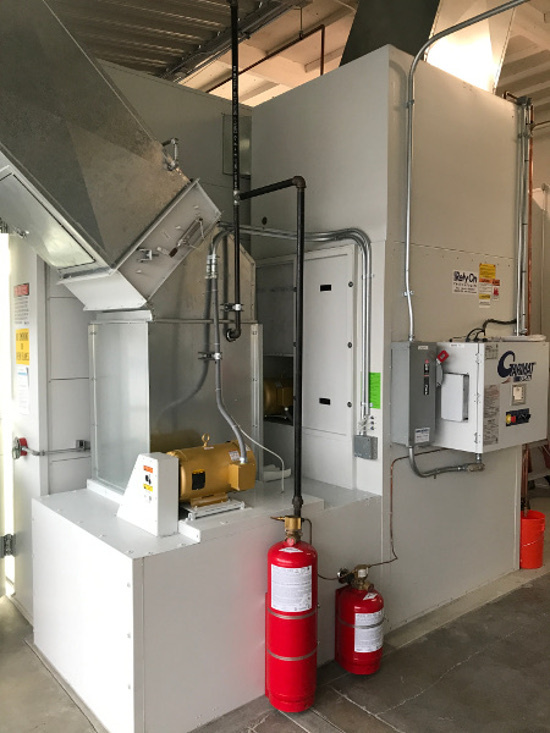 There was not going to be enough gas to support the additional two MBTU from the new mechanicals. 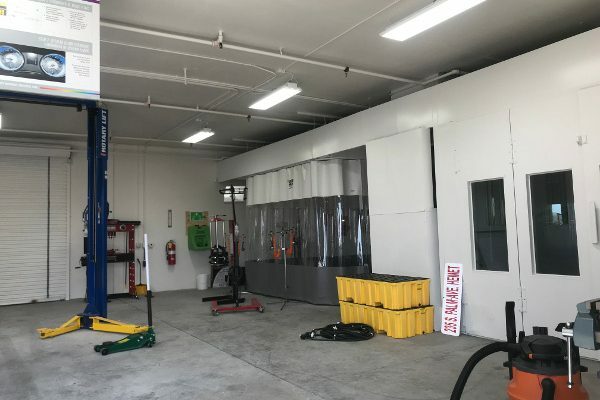 Once Rely-On received the green light from SoCal Gas, and the permit to construct from the building and safety department, the concrete pits we cut and the install of the new equipment had begun. There are always changes that arise from a project and not all of them are based around corrections by the city. Sometimes the changes are a result in a jump in business that, while already in plan check, is a manageable change before any part of the project has started. This is the time to make any adjustments to the installation, before any concrete is cut and any gas line (in this case) is run. Rely-On builds these installations to be twenty to thirty projects. 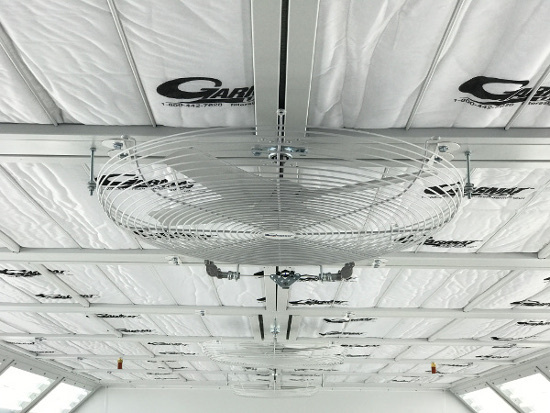 An extra week or two is a drop in the bucket to make sure we provided the best installation that we could possibly provide.